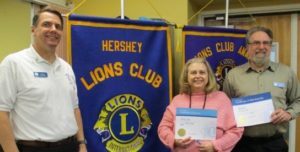 The Hershey Lions Club is a group of local people who are interested in serving the community of Hershey. We are a chartered club of Lions Clubs International, the largest service organization in the world. 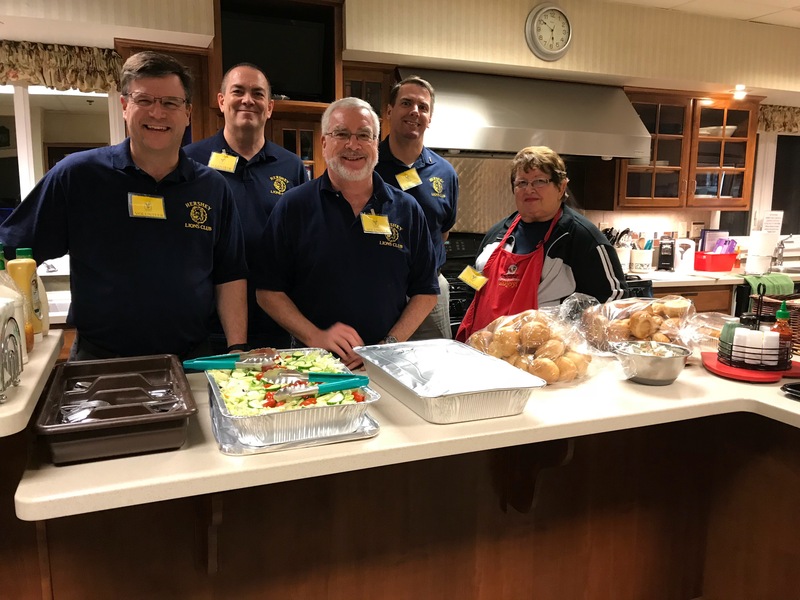 The Hershey Lions Club conducted their first ever Pork and Sauerkraut Dinner in partnership with the Federated Women’s Club of Hershey on Sunday, March 3rd. The event was held at the Grace United Methodist Church in Hummelstown and we thank their fabulous kitchen staff for their great work. Our two clubs will split the earnings from the dinner for our respective projects and we hope to hold and even improve the event next year! 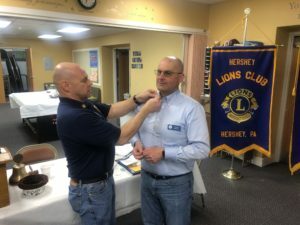 The Hershey Lions are happy to welcome new member Lion Andy Jugon. He was inducted into the club by PDG Lion John Mallonee on Tuesday, February 19th. His sponsor is his partner-in-service Lion Elaine Jugon. We thank him for his assistance at past projects and look forward to continuing to work with him now that he is a member. The Hershey Lions conducted a survey on Tuesday, February 5 entitled “How Are Your Ratings?”. The purpose of the survey is to understand what is important to the club members as well as to get a gauge on how well we are doing in those areas. Based on the results, we’ll look at creating a plan to improve the experience of our members. This is just another way that the Hershey Lions are working to make membership positive within our club so we can continue to serve others. Part of the evening included the distribution of district officer pins. These pins will be passed on each year to incoming officers. To see more images from the evening, visit this link. 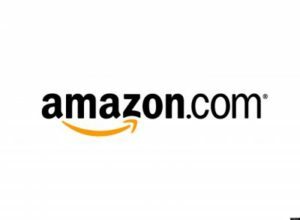 Amazon is your one stop for online shopping. Your purchases through this link will help the Hershey Lions Club Foundation and our ability to serve our community. To get started, visit www.amazon.com. The club was chartered in the fall of 1944 by local Hershey business representatives through a sponsorship from the Palmyra Lions Club. The club currently meets at Grace United Methodist Church at 6:30 p.m. on the first and third Tuesday of each month. For more information on our club, what we do for the community, and how we raise money, please see our What We Do page.